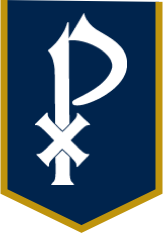 St. Pius X has a number of Annual Fund recognition societies with special recognition levels beginning at a $1,500 gift to the school. A donor's matching gifts is credited to the donor, doubling-and sometimes tripling-someone's gift. Also please note that for the purposes of our Annual Report, only unrestricted Annual Fund gifts will be disclosed in the Giving Club section of the Report. Restricted giving is categorized elsewhere in the Annual Report. At St. Pius X, tuition covers about 91 percent of the cost of educating a student. The difference of roughly $1,200 per child must be raised by other means. The Annual Fund provides the largest source of financial support for making up that difference. Thanks to the generosity of the St. Pius X community, tuition increased just $350 for the 2018-19 school year. Your gift to the Annual Annual Fund provides the margin of excellence at St. Pius X, supporting a wide range of needs across campus. Your Annual Fund gift provides unrestricted support, allowing the school administration to determine the most pressing needs while relieving the burden on tuition. The financial goal for the 2018-19 school year is $900,000, providing more than five percent of the annual budget. Why does St. Pius X have an Annual Fund? At St. Pius X, tuition covers about 91 percent of the cost of educating a student. The difference of roughly $1,200 per child must be raised by other means. The Annual Fund provides the largest source of financial support for making up that difference. Thanks to the generosity of the St. Pius X community, tuition increased just $350 for the 2018-19 school year. Your gift to the Annual Fund is the most important annual gift you can give to St. Pius X. Without the Annual Fund, St. Pius X would have to dramatically raise tuition or undertake steep budget cuts. ​The entire St. Pius X community - current parents, alumni, parents of alumni, faculty and staff, grandparents, and friends - are invited to participate in the Annual Fund. The participation goal for current parents is 80%, and the goal for alumni giving is 900. Outside funders, especially Foundations, want to know that those directly affected by the school show their support through Annual Fund participation. One way you can double, or even triple your gift, is through your company’s matching gift program. By utilizing the matching gifts program, and increasing your gift, you may qualify for one of the leadership donor levels. Last year, we received more than $80,000 in matching gifts. More information regarding this program is available here. When are Annual Fund gifts due? We strongly encourage you to make your gift by May 31, 2019. This will ensure your donation is put to use this school year, and that you are properly recognized in the school's Annual Report published in the fall. The final payment deadline for the 2018-19 Annual Fund is June 30, 2019. Current parents are asked to make their gift or pledge by December 31. Each fall we host a party for any donor who makes a gift or pledge to the Annual Fund, regardless of the amount. This adults-only event is our way of saying “Thank You!” for your generosity. Guests pack a cooler and dinner, and socialize as they listen to the live band. All are welcome! Our next Annual FUN(d) Party is set for October 4, 2019. See you then! This annual event honors donors who contribute at the Maloney Society Level ($1,500) or higher. The evening includes Mass celebrated by Archbishop Wilton D. Gregory. Invitations are mailed in August to Annual Fund leadership donors from the previous campaign. Donors who contribute to this level and higher are also invited to the annual State of the School Address in March, and receive a Gold Pass for all arts and non-playoff athletic events.